The first Sunday of Advent marks the beginning of the Christian year. For those of you following the “Extended Advent” calendar, today is Advent 4. The word Advent comes from the Latin verb advenire, which means "to come toward, to draw near, to approach." During Advent, we remember and celebrate God's drawing near to us in Jesus Christ, but primarily in the promise of his second coming to bring the promise of the kingdom of God and the renewal of all things to culmination. From now through Baptism of the Lord (the Sunday after Epiphany), all of the lectionary readings directly relate to each other with a particular focus on the gospel reading. Anonymous 1615 engraving imagining Christ returning “with the clouds” (Luke 21:27). Public domain. See full texts, artwork, and Revised Common Lectionary Prayers for this Sunday at Vanderbilt Divinity Library. Leccionario en Español, Leccionario Común Revisado: Consulta Sobre Textos Comunes. Para obtener más recursos leccionario, Estudios Exegético: Homiléticos. Jeremiah 33:14-16. "The days are coming when I will fulfill the promise" the prophet tells the people of Judah in exile in Babylon. The promise is for a leader, a "righteous branch" from the house of David, to bring justice and righteousness to the land then lying in ruins. This promised leader would later be known in Judaism as "Messiah," and the reign he would establish, "the messianic age." Psalm 25:1-10 (UMH 756). This Psalm was selected, as all the Psalms are, as a response to the first reading. Pray and hear it today in the voice of those in exile who have waited and still wait. In your waiting, confess with them the need for God to sustain you daily, to cleanse you from sin, and lead you in paths of righteousness here and now. Consider using the first line of the first stanza of "Hail to the Lord's Anointed" (UMH 203) as the response, and E-A-F#-E; F#-E-F#-A for the chant. If you are using response 1, chant with Tone 5 in E minor. For response 2, use with Tone 3 in E-flat major. 1 Thessalonians 3:9-13. In Jesus the love and righteousness longed for have been provided. In the community called church, such love and righteousness may not only abound but continue to make us perfect in holiness until the final coming of Christ. Luke 21:25-36. The signs of the end Jesus announces look different from what the folks who first heard Jeremiah's prophecy may have expected. In the immediately preceding verses, Jerusalem is destroyed, not "established forever." It is worldwide suffering accompanied by unstoppable cataclysm, not the progressive development of a golden age of "peace on earth, goodwill to men," that marks the promised redemption. Don't be lulled, Jesus warns! Stay awake and alert to suffering; that’s where you’ll see God’s reign coming in power, beginning now. The first Sunday of Advent marks the beginning of the Christian year. For those of you following the “Extended Advent” calendar, today is Advent 4. The word Advent comes from the Latin verb advenire, which means "to come toward, to draw near, to approach." During Advent, we remember and celebrate God's drawing near to us in Jesus Christ, but primarily in the promise of his second coming to bring the promise of the kingdom of God and the renewal of all things to culmination. From now through Baptism of the Lord (the Sunday after Epiphany), all of the lectionary readings directly relate to each other with a particular focus on the gospel reading. Start looking ahead to the Christmas Season readings for this year (Christmas Eve, Christmas Day, The Sunday after Christmas, Holy Name or Watch Night, and Epiphany) and build your Advent series in a way that flows into the Christmas Season series to follow. As you plan, keep in mind that Advent is historically a season for baptismal preparation, as well. As Christians first began to observe Advent in the fourth and fifth centuries, they did so as an extended season (six or seven weeks) of preparation of candidates for baptism, very much as a parallel to Lent. Just as Lent led into Easter Season, so Advent led into Christmas Season. 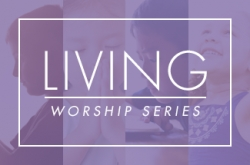 How will you plan worship during these weeks to help prepare candidates for baptism, confirmation, reconciliation, or reaffirmation of the baptismal covenant where you are? Advent in Year C also marks the beginning of a year with the Gospel of Luke. Today brings us to the final days of Jesus' ministry as he describes the fulfillment of the kingdom of God. Next week, we will read of the events surrounding the birth of John the Baptizer. Plan now to sing the Song of Zechariah as part of the service. 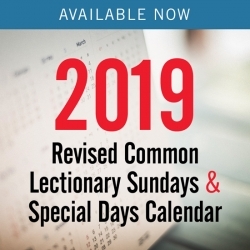 Several versions are available in The United Methodist Hymnal (208, 209), Mil Voces para Celebrar (78), and the Upper Room Worshipbook (10-12). The third week of Advent this year brings a focus on the ministry of John the Baptizer, whose harsh teaching seems to stand in contrast with the reading (song) from Zephaniah for that day, except that he also speaks of a Messiah to come (Luke 3:15-18). Advent 4 brings us to the song Mary sang at the home of her older cousin Elizabeth. Plan to sing this as well. Settings may be found in The United Methodist Hymnal (198-200) and Upper Room Worshipbook (17-20, with a particularly stirring Advent version called "Canticle of the Turning" on 18). Today: United Methodist Student Day includes a special denomination-wide offering to support student scholarships. December 1: World AIDS Day (GBCS resources, Discipleship Ministries Resources) While you may call attention to this observance in worship today, most community observances will take place on World AIDS Day itself. Find out what is happening in your community, and find ways to engage your congregation with your community in the continuing effort to end the spread of AIDS worldwide. Here are several articles and webinars to help you plan through the end of Christmas Season. When Should You Hang the Greens? As we’ve already noted above, the four Sundays of Advent have a particular focus on the fulfillment of all things in Christ, a focus announced most explicitly on this day. The remaining three Sundays of Advent each year bring us to the ministry and message of John the Baptist (Advent 2 and 3) and then to the role of Mary in bearing the Son of God (Advent 4). While one way to read this is almost a matter of going backward in time (almost, because we actually move forward from week 2 to 3 each year), the intention of this progression each year is to call attention to all that will be brought to intentional fulfillment in Christ. In the gospels, Jesus himself (this week), John the Baptist (weeks 2 and 3) and Mary are our chief witnesses. In today’s reading from Luke, Jesus announces signs that appear to be nothing short of cataclysmic for the world as we know it. There are ominous signs in the heavens, and wild, uncontrollable seas (verse 25). Fear and panic grip all nations (verse 26). But not so for those of us who are his disciples, Jesus says. For us, everything falling apart is an occasion not for fear, but for rejoicing. Like the fig tree whose full complement of leaves is a sure sign of summer, and then a harvest, such signs of apparent destruction are instead signs of the fulfillment of God’s kingdom remaking all things (verse 30). This present age and its powers passing away are the sign the age to come is fully breaking through. Some misread this text to call for Christians to be passive or even welcoming in the face of human-created forces that threaten to destroy the world as we know it, such as nuclear proliferation and climate change. Jesus rejects all such notions. He calls us not to resignation, but to alertness and increased diligence (verse 34). Jesus has also made clear that the signs he’s describing are not human-caused. While we can certainly destroy ourselves and many species on this planet with nuclear weapons or by continuing to increase the level of carbon dioxide and other greenhouse gases we choose to release into the atmosphere, the scale of the signs Jesus describes are far beyond human control. “The powers of the heavens will be shaken” (verse 26). Not just life on earth, but the structure of the universe itself would appear to be in jeopardy, Jesus says. And, he says, “this generation will not pass away until all these things take place” (verse 33). We have two possible ways of reading this. While different in approach, the two are compatible. One way is quite literally. Everything we know about some forms of early Christianity indicates such a literal meaning to have been a typical understanding for Christians in the first century. Some believed “all things” referred to the cosmic-level cataclysm Jesus was describing, and that this would happen during the disciples’ lifetimes, or perhaps in the generation to which Luke wrote (ten or twenty years after many of the twelve may have died or been killed). Those who argue for such a “realized eschatology” reading suggest that Jesus was indeed the righteous branch of Jeremiah, and that forms of his body, Christian communities, springing up all over the known world were the sign of the age of righteousness dawning. On the other hand, many then and now argue for a wider meaning of the word “generation,” referring to something more like an “age” or an “eon” that could span hundreds or thousands of years. The fall of Jerusalem was only a minor harbinger of the cataclysm to come then, and still to come. Every odd phenomenon in the heavens and every instance of seas surpassing their bounds are signs that things will get far, far worse—that the time of the fig tree in full leaf, the era of “hopeful destruction” has only begun. Under either reading, the fullness of the cataclysm was not the promise hoped for, but a sign, like a fig tree in full leaf is a sign of summer and bountiful harvest to come. The bountiful harvest, the renewal of all things as God’s kingdom arrives in fullness, is the promise. And the good news we proclaim on this first Sunday of Advent is that Jesus Christ himself is the bearer of that promise, whenever “the Son of Man coming in the clouds with great glory” appears. That charge is all about the first baptismal question and living the three verbs it contains: renounce, reject, and repent. We renounce allegiance to spiritual forces that dominate this present age. We reject evil powers of this world, casting them aside. And we repent, we keep turning from, whatever sinful ways still hold us in thrall. All three of these verbs mark ongoing actions of decisive turning. What we see today, on Advent 1, is the destiny of those powers and ways from which we turn, even as we begin to glimpse the hope that comes with the second coming of Christ. Jeremiah speaks of that hope in another way, in the image of the righteous branch. He was a prophet to exiles who had lost everything that gave them a sense of peoplehood—homeland, temple, possessions, family members, friends, freedom and nation. The last of the kings of Judah was dead. The “line of David” appeared to be utterly cut off, a dead stump. Yet that “dead stump” is exactly where Jeremiah tells the people God will cause new life, hope, justice and righteousness to spring forth. From the cut off stump of David, will come a “righteous branch.” What appears dead will give birth to new life, new nationhood, and a new beginning in their own land. To those who had lost so much, this may have seemed impossible to believe or hope for. The line of Judah’s kings was now only a stump, a placeholder of a destroyed past. But not everything about that past was actually destroyed. There were still roots. There were still memories. There was still Torah and a whole history with their God whose name was too holy to speak. That meant there was still possibility to imagine and experience a new future rooted in the past, though necessarily quite different from it in many ways. But a righteous branch was coming, the prophet promised, one who would “execute justice and righteousness in the land” (verse 15). What did Jeremiah mean by that, and what does it have to do with the fulfillment of all things in Christ? “Mishpat,” the Hebrew word for justice, has to do with such practical matters as ensuring fair trading practices, providing care and advocacy for widows, orphans, and the poor, and establishing authoritative processes for reconciliation and restoration when relationships are broken and damage is done. It’s about mending and restoring the social fabric, the relationships between people. “Tzedekah,” righteousness, is personal integrity that reflects the character of the God of Israel, named most commonly in the Old Testament as "full of compassion and mercy." It’s the energy that radiates through individuals reflecting the character of God and God’s commitment to save. As we noted in the story of the widow’s offering in the temple a few weeks ago, “tzedekah” also refers to those basic acts of charity, giving that provides for the livelihood of others, particularly the marginalized and distressed. With these two meanings taken together, “righteousness” points to the alignment of character and action for the good of all. Mishpat mends and restores. Tzedekah sustains. For a people whose culture, homes and temple were destroyed, the promise of one to come who would bring restoration and ongoing sustenance to the people, and keep them as a people despite their losses, was hopeful news, indeed. In the culmination of all things in Jesus Christ, who we claim to be the fullest fulfillment of the prophet’s promise, we find the promise expanded from one people to all persons, and from people on earth to the whole of creation. The work of Christ and the church has already been to mend what is here, and to call us all to acts of compassion that sustain even the most vulnerable among us. This is our calling and pursuit now, if we are not weighed down by dissipation and self-indulgence. Christ is making of us a people to act with justice and demonstrate righteousness in all we do, here and now, as sign and foretaste of the complete renewal in the age to come. Which brings us to I Thessalonians. And this critical point about all of this talk of the age to come. We’ve already seen this in both Luke and Jeremiah. Paul underscores it. The promise of the age to come is not about escape from this life. It is not “pie in the sky by and by” intended to anesthetize us against the pain and suffering of this present age. Quite the reverse. The promise of the One who is to come and the fulfillment before us is to steel us to live our lives with greater love for one another and for all and greater holiness here and now, precisely in the face of the sufferings and temptations of this age (verses 12-13). So today we proclaim the culmination of all things in Christ precisely when it appears the foundations of the universe are shaken. Today we reconnect with the call and ministry of Christ among us, and into which he calls us all, here and now, of justice and righteousness. And today we underscore the call to growth in holiness of heart and life. And we do all of this, if we also follow that path of the early church, as part of a journey with people beginning their final preparations for baptism by learning to live this life of love, holiness, justice and righteousness in the name and power of the Coming One. Advent begins with a bang—or at least the loud roaring of the seas. This year, it ends with a song of hope and reversal and words of blessing for those who believe. As you plan worship for today, plan with this story arc and soundscape arc in mind. Let every service, starting today, carry through the underlying theme of the culmination of all things in Christ, and support what (I hope!) is your ongoing work of accompanying people on their journey toward baptism and lived discipleship to Jesus. You and your team will need to decide what kind of theme will unite these services into a series. You might choose to focus simply on eschatology, the end that drives our every beginning. Or you might focus on living holy lives, or growing in holiness or faithfulness, “not being weighed down” by this world and its powers that are passing away. Or you might focus primarily on how the readings each week focus us more intently on practicing each of the baptismal vows. A word of advice. Pick just one to keep front and center, even if you also cover all three in some way. Picking one as a key focus will help you not only organize the music and art and ritual for worship, but also enhance the clarity of your teaching, preaching and formational ministries through this season. Call to Worship: BOW 206, "Entrance Song for Advent"
Advent Wreath Responses: BOW 207 and 208, "Come, Lord Jesus"
See BOW 238 and 239 for additional Advent suggestions. I suppose I shouldn’t have been surprised. Since so many churches no longer follow the lectionary, opting instead to develop an Advent Series around a theme that likely does not point to the eschatological dimensions of Christmas, I should have known that the ancient tradition of reading stories of the end of the world as preparation for Christmas would fall by the wayside. If you are reading this, then you have probably had a similar experience because you follow the lectionary. I personally appreciate the countercultural message the church offers as a way of preparing for Christmas. Instead of encouraging us to prepare for the celebration of Christ’s birth by decorating, throwing parties and spending lavishly in order to shower our friends and family with gifts (as if it is their birthday), the tradition of the church invites us into a period of self-examination and penance. It is the opposite of what the world tells us to do. It is countercultural in the highest order. During the season of Advent, the Gospel reading is always primary; and the Old Testament, Psalm, and Epistle readings all support or supplement the Gospel message. So in this season, my notes will focus on the Gospel reading; and instead of offering full notes on the other lessons, I will suggest ways you might incorporate those readings into the message, if you so choose. “There will be signs in the sun, the moon, and the stars, and on the earth distress among nations confused by the roaring of the sea and the waves. People will faint from fear and foreboding of what is coming upon the world, for the powers of the heaven will be shaken. Then they will see the ‘Son of Man coming in a cloud’ with power and great glory. Now when these things begin to take place, stand up and raise your heads, because your redemption is drawing near” (Luke 21:25-28, NRSV). “Be on guard so that your hearts are not weighed down with dissipation and drunkenness and the worries of this life, and that day does not catch you unexpectedly, like a trap. For it will come upon all who live on the face of the whole earth. Be alert at all times, praying that you may have the strength to escape all these things that will take place and to stand before the Son of Man” (Luke 21: 34-36, NRSV). In other words, we are to prepare for the birth of Jesus into the world and for his coming again by living as people who are prepared to die. It’s not a very Christmassy sentiment. But it is vital that we offer an alternative to what the world offers in preparation for the birth of our Lord and Savior Jesus Christ into this world and his coming again. Recently, I was visiting a family member and we had a lengthy discussion about death. This person is very focused on fitness and healthy living. She was expressing her concern that perhaps the lifestyle of another family member was not only causing her health problems, but perhaps even hastening her death. I said to her (in a rather snarky tone, I’m afraid) that no matter how healthy we are, the fact is we are all going to die. It is unavoidable. I added that I hope to die before my body gets to a point where I can’t really live. Some of my response came as a result of my own situation. My mother suffers from dementia, a condition that runs in my family. Other than her problems with memory, my mom is in great physical shape. She is not overweight. She eats well. She and my dad go to the gym and exercise every weekday. She takes appropriate medication to deal with high blood pressure and to slow the progress of her dementia; but for an eighty-year-old woman, she is amazingly healthy and stands to live for many more years. My greatest fear is that her excellent physical condition is going to keep her alive beyond the time that she can engage fully in life and be in relationship and communication with the people she loves. Don’t get me wrong. I don’t want my mom to die, ever. And I don’t want to die either. But there is nothing we can do about it. My mom is going to die, and so am I, and so is every other human being who is alive today. Tens of thousands of people are dying right this very minute, even as I write these words. Many more will die before the sun goes down today. Human life is fragile and brief in the grand scheme of things. Many people, when they read passages like this one from Luke, imagine a day when the world and all life upon it draws to a dramatic, sudden, and violent close. They look for signs in the world that signal that the time is coming and try to prepare for it by praying and sharing about the saving power of Christ with others. In this theological worldview, when the end comes, people will be lined up before the Lord to be judged. Those who confess Jesus Christ as their Savior will immediately be saved for eternal life in heaven, and those who do not will be left behind to go down with the ship. Whether or not it happens like that doesn’t really matter much to me. What I do believe is that each of us will one day find ourselves standing before the Lord. I do believe he is coming in a cloud with power and great glory to each and every one of us. And I believe he will welcome every one of us into his kingdom with grace and mercy and gather us around his table to feast at the heavenly banquet with all the saints that have gone before us. When is he coming? I don’t know. It might be in the next hour. It might be before the sun goes down today. It might be next week, or next year, or thirty or forty years from now. We have no way of knowing. What we do have is the ability to prepare ourselves for that day by examining our lives and repenting and turning away from those things that are not life-giving. What we do have is the chance to live whatever time we have left on this earth in the ways that Jesus came into this world to teach us. What we do have is the opportunity to participate in the healing of the world. What we do have is the prospect of offering the hope, peace, joy, and love that Jesus was born into this world to share. What we do have is the promise of everlasting life. The reading from Jeremiah reminds us that God is faithful, even when humans are not. Therefore, when God promises restoration to the house of Israel, we can trust in that promise. God will bring dead bones back to life and new life out of what appears to be a dead and lifeless stump. Even though the prophet was not writing about Jesus, as his disciples, we believe that Jesus was and is the righteous branch that sprang from David. Jesus is the one who executes justice and righteousness in the land. Jesus is the one who saves us and allows us to live with security, peace, and joy, even when times become difficult and it feels as if the world around us is crumbling. Life in Christ is the ground of our hope and the promise of our salvation. Gracious God, with our brother Paul we offer prayers of thanksgiving. We earnestly request that by the power of the Holy Spirit you will restore our faith and the faith of others. We pray that Christ will draw us to himself and that his love for us may find expression in our love for one another. Finally, we pray that Christ will strengthen our hearts in holiness, that we may live as people who know ourselves to be blameless before our God and Father at the coming of our Lord Jesus with all his saints. Amen.